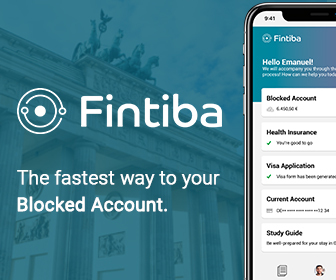 After abolishing tuition fees in October Germany strikes again; in the recently published world’s leading higher education rankings Germany is now listed as the third overcoming every other country except for US and UK. Two more German universities have made it in the top 200 joining the other 10 German Universities in the Times Higher Education (THE) World University Rankings. Another reason for celebration in this country is the fact that for the first time in history Germany has placed one of its Universities in the World’s best top 30 universities as the rankings stated recently. 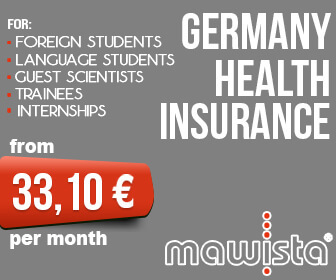 Needless to say, this is promising news and yes, it’s Munich’s Ludwig Maximillian University we are talking about. The excellence initiatives consistent work since 2005 promoting research among Germany’s top universities has finally paid off. Phil Batty, the editor of the rankings praises Germany having an open mind towards the importance of the global rankings resulting in more accurately presented institutional data. This is how the world got to become aware of Germanys higher education excellent performance. Not only the University in Munich but also several other have Universities transferred higher in the list all thanks to operating by the aforementioned strategy; Tubingen and Dresden are just the beginning. 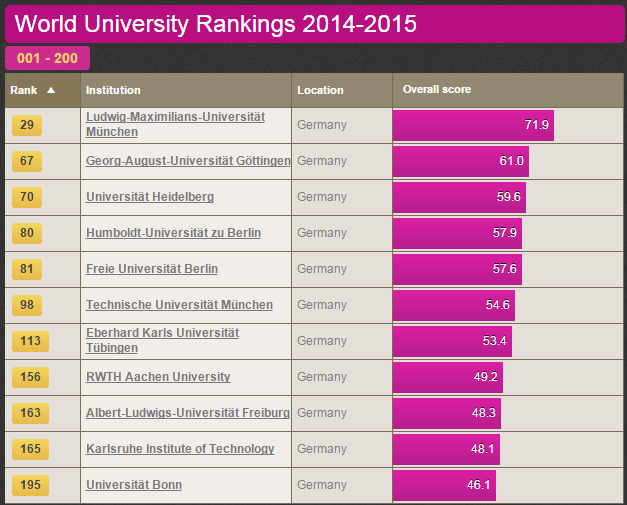 Munich’s Ludvig Maximillians University ranks 29th followed by University of Göttingen (67), Heidelberg (70), and the Humboldt in Berlin (80) and the Free University of Berlin (81). An example has been made however, out of the California Institute of Technology heroically holding on to the throne as No.1 for the last four years; beats both Harvard University in the second place and Oxford University in the third.